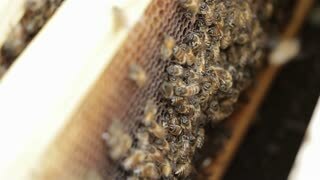 Search Results for "bee hive"
Close up shot of white Honey Bee hive. 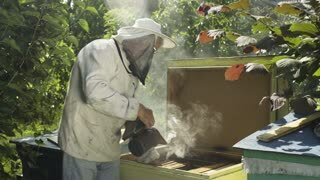 Bee Keeper smoking entrance before working the bees. 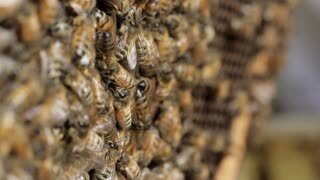 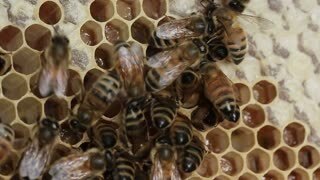 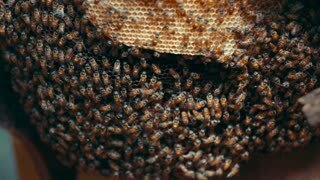 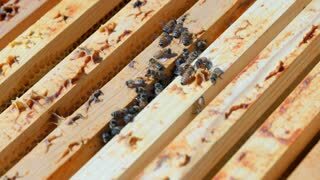 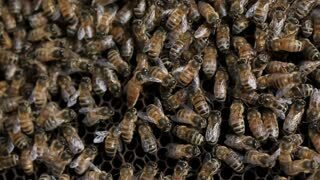 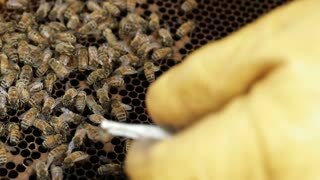 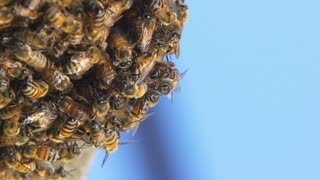 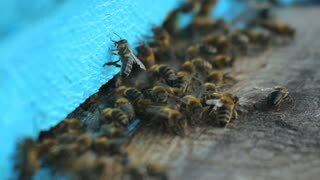 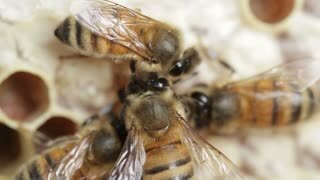 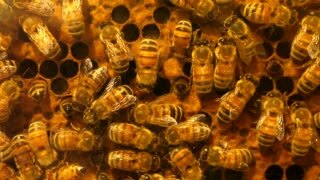 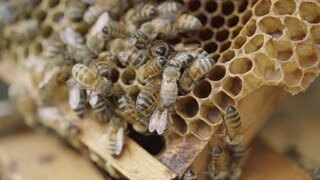 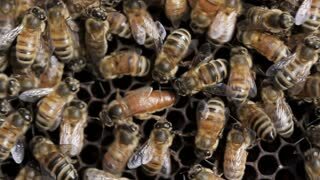 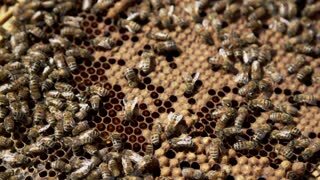 Honey Bees entering and leaving the bee hive. 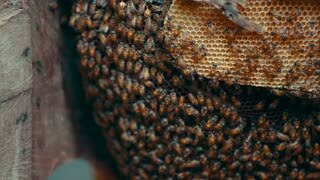 Frames of a bee hive. 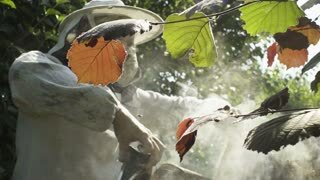 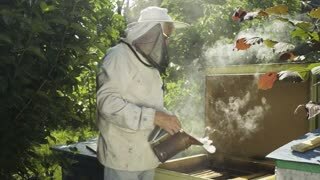 Beekeeper harvesting honey. 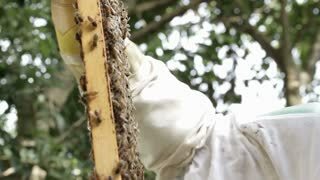 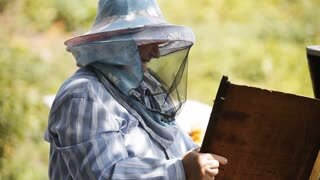 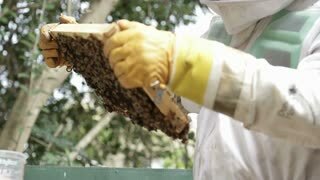 Beekeeper Inspecting Bee Hive. 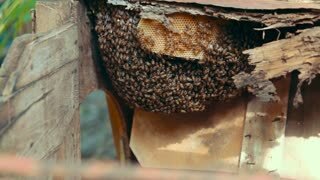 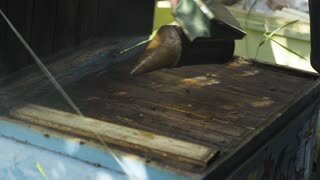 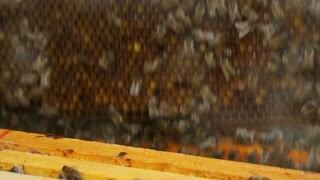 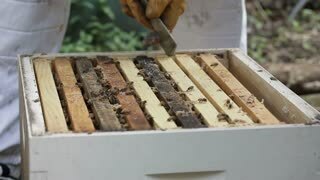 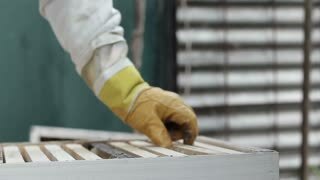 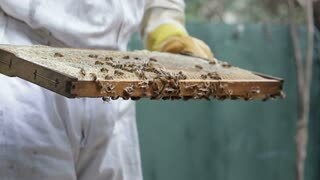 The bee smoker is used to calm bees before frame removal.